Are you thinking of repainting your apartment to give it a more modern, fresh look? With so many color options available it can be a challenge to figure out what would look best in your space. Here is a very contemporary color to consider (it is the new favorite shade of many top notch interior designers across the US). When you mix the contemporary gray with the neutral and chic beige you get an elegant, neutral and multifunctional: greige. This new shade works perfectly well in any room, from the living room to the kitchen, and gets along with any other color and different materials. However, some matches are better than others. Here are our picks! Learn more about how much it would cost to repaint your apartment here. 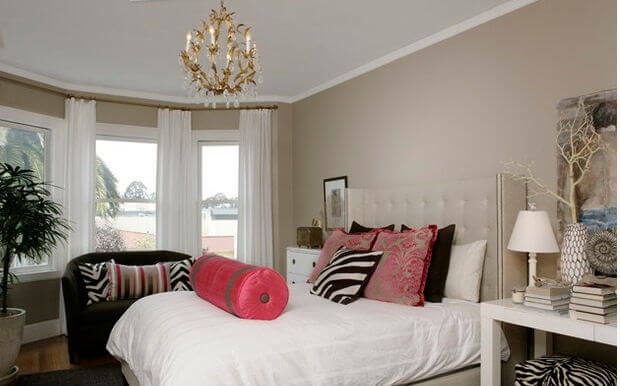 Keep it classy, yet modern, with greige walls and the pop of hot pink, along with the wild-life patterns. This bedroom is quite interesting and eclectic, since it combines organic elements with classic decorative items. Greige and orange make one of the most perfect matches. 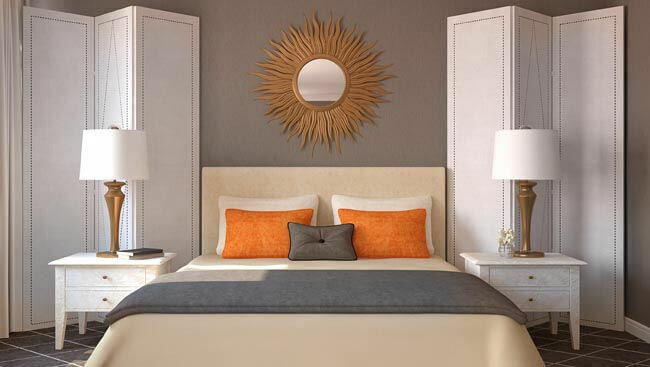 Add some gold-color details, such as the sun mirror and the lamps, along with a splash of white here and there. Now you have a very stylish bedroom. Make a party of neutral tones by mixing greige, gray, black and white. This achieves a high-end and contemporary look and feel, without appearing overly planned and pretentious. 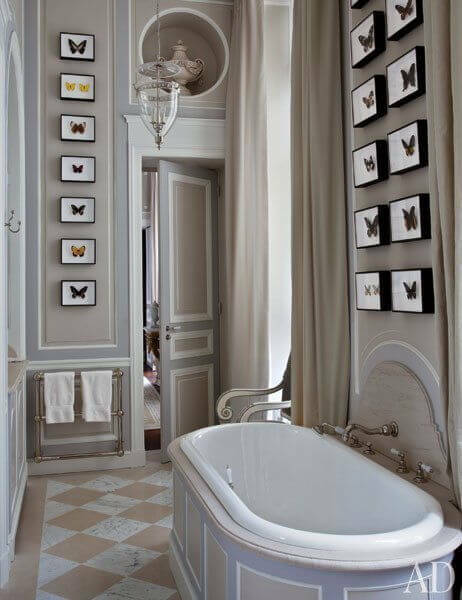 Combine greige with classic checkered flooring and decorate the walls with a unique accessory, like these framed butterflies. You get a bathroom that looks unique and highly personalized. 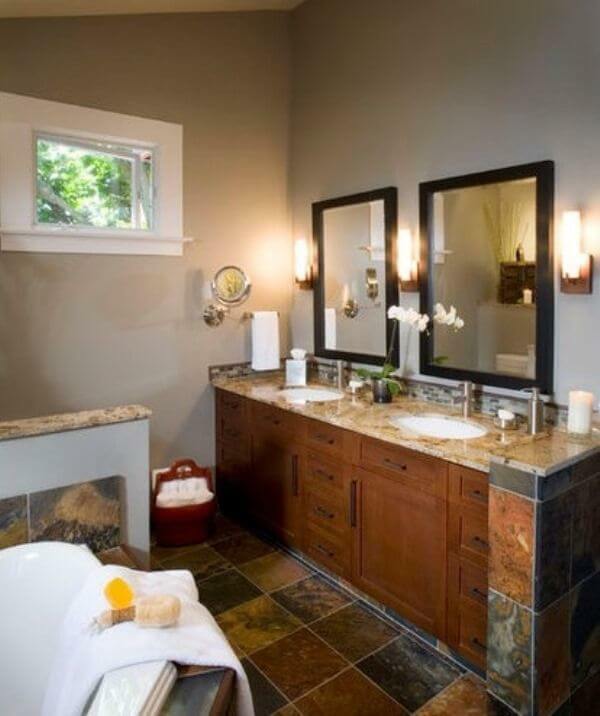 Greige in a bathroomcan be a perfect companion to different kinds of stone tile, such as slate and or marble. The warm wood tones of vanity and mirror frames complete this chic and rustic look. 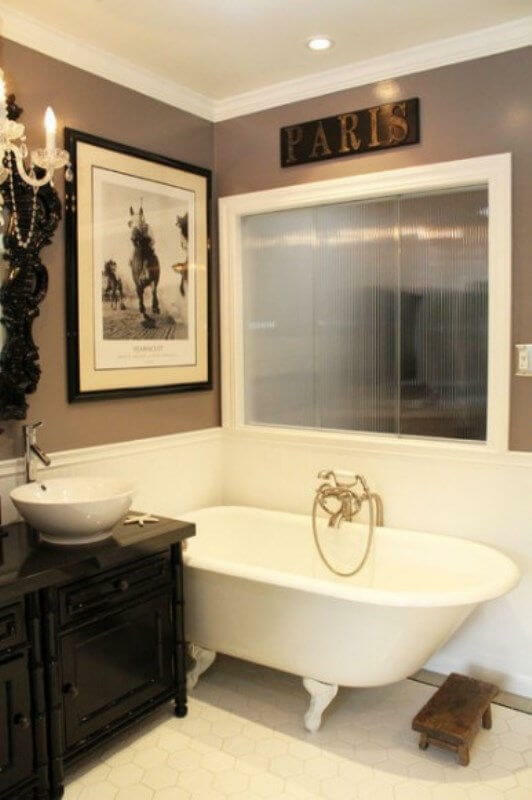 Dark and heavy furniture and a classic tub, combined with greige walls will give a sophisticated look to your bathroom. I’m disappointed paint brand & color name were not included in this articles….any articles about paint should include that, please.